I meet so many people that are looking for purpose, a reason to live. I meet so many people who are longing for something more than existence. That is why I am so excited about what our church – New Hope Worship Center, Batavia, NY – is doing. 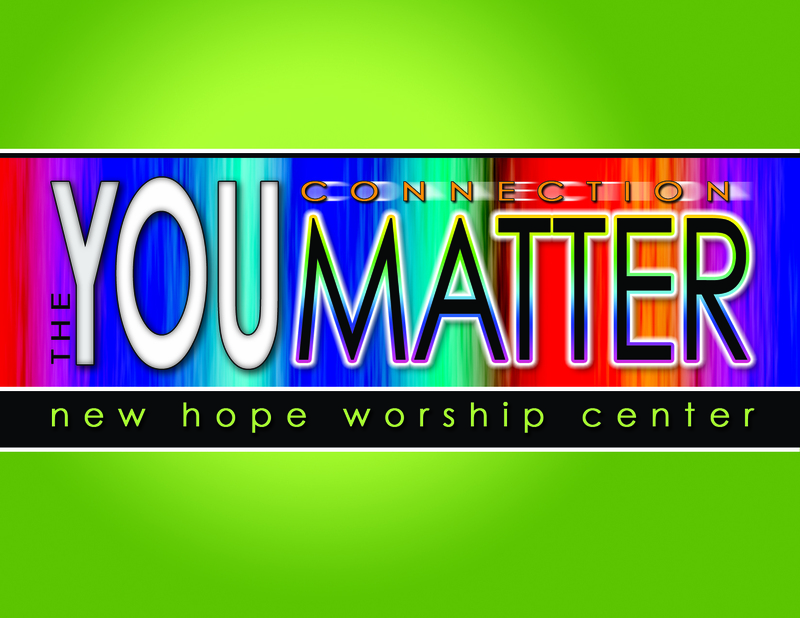 Over three Sundays, we will be presenting the You Matter Connection. Three Messages about why you matter! Simple Messages that will change your life. If you’re in the area…stop by! We’d love to see you!